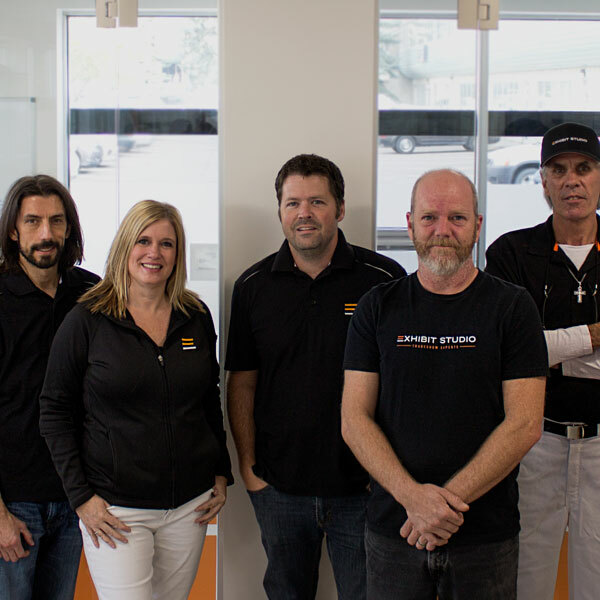 Exhibit Studio is made up of a small team of innovators, leaders, and risk takers. We work very closely with each other, helping out in all departments, and consider ourselves one big family. We love to have fun and we are always laughing our way through our crazy, busy days! It takes each and every one of us to create limitless possibilities for our clients, and their trade show and custom exhibiting needs. As a team, we design, build, dream and execute the highest quality of projects for our clients. Teamwork helps projects go through our system faster and we often lean on one another. Creativity: We believe that imagination is needed for all of our projects we take on at Exhibit Studio. From sketches to concepts, 3D renderings to the final product - creativity is in our daily work. Team Work: Everybody’s ideas, roles and tasks when combined as a group effort, will help us better succeed than if we are to go it alone. We lean on each other and pitch in when we can. Balance: Have a balanced approach to life and remember that time is precious. Show up on time, physically and mentally prepared for the day. If you think Exhibit Studio sounds like the right fit for you but don't see any current openings that may suit your skills, please fill out and submit a general application below.